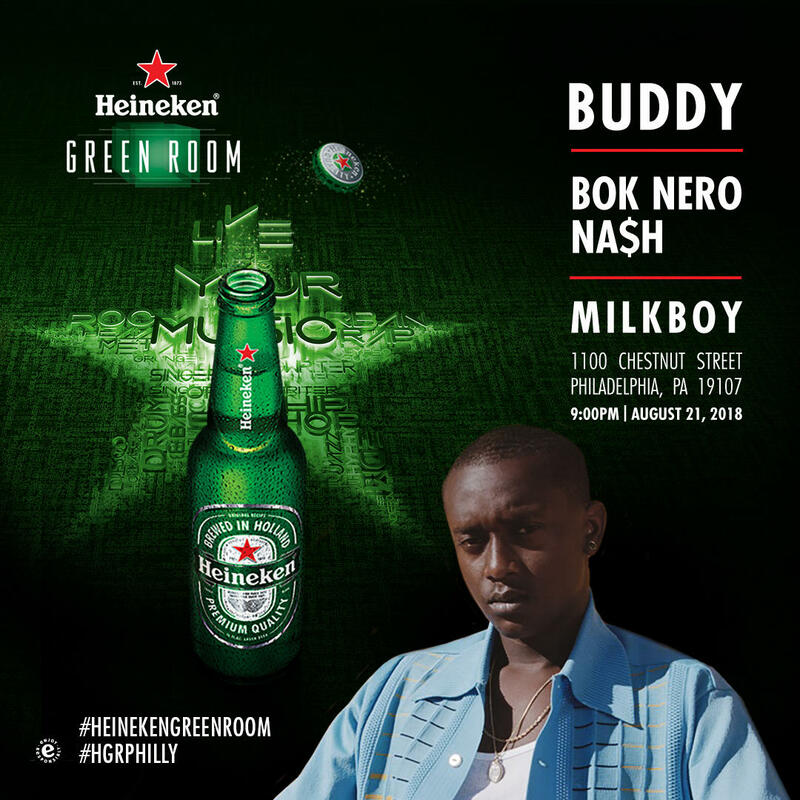 This month, LA-based rapper and singer, Buddy is coming to Heineken Green Room! Fresh off the release of his debut album, Harlan and Alondra, Buddy’s unique voice is gaining critical acclaim. Over the years, his sound has been cultivated by working with fellow artists Pharrell Williams, Kendrick Lamar and Kaytranada. Buddy’s newest singles “Trippin,” featuring Khalid and “Hey Up There” with Ty Dolla Sign are quickly rising on the charts and garnering industry buzz from XXL Magazine, High Snobiety, and Pigeons and Planes. Join us early for Bok Nero and Nash. Remember, this event is open ONLY to Heineken Green Room Insiders. Insiders must RSVP for themselves +1 by August 19th at 5pm. RSVP does not guarantee admittance, so please arrive early as entry will be first come, first served; all +1s must arrive at the same time.